Is a wonderful thing! 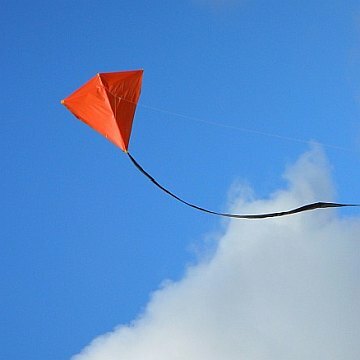 Is watching a flying kite one of your hobbies? Seeing your own creation up there definitely adds a new dimension to the experience. 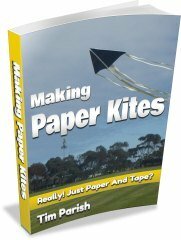 Read on for all sorts of kite flying stories plus of course plenty of photos and some short videos. MBK Simple Delta - loves light winds! Some of these are full-length pages complete with a photo and video of the kite that I flew on the day. Other pages are compilations of my shorter-format blog posts for a particular type of kite. For a year or so, this site had a couple of dedicated MBK Flight Reporters. These reporters built my designs, flew them, took photos and then submitted great illustrated reports on their outings. You just never know what random incident might happen while a kite is up. Nothing earth-shattering generally, but often enough to make the flier - or a number of the by-standers - crack a smile! I've had the occasional tape failure in warm weather, which sends the kite gracefully out of control all the way to the ground. I've had a seagull trip over the flying line in mid-air! 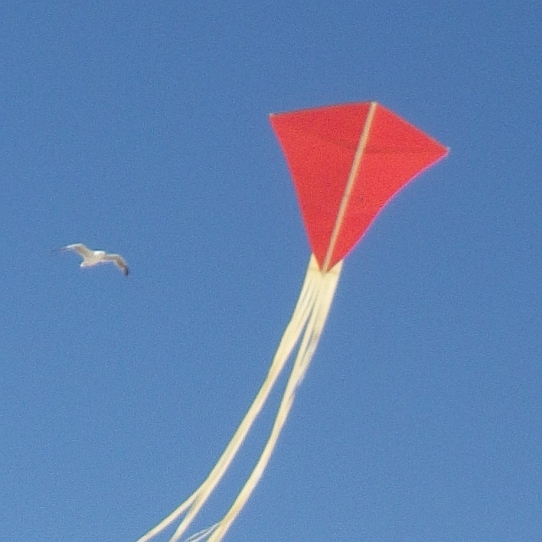 Once, a large pelican joined the kite hundreds of feet up in a thermal - before climbing away, out of sight. Everybody has a favorite kind of kite, so the reports are organized accordingly, below.. Finally, the subject of a flight report occasionally covers more than one kite. Here's a collection of some of these slightly less-focused multiple kite posts. Doing Flight Reports is my preferred method of keeping a record of my flights. However, it could be worth your while to keep a Kite Log Book. Check it out! In addition, there are a few which don't neatly slot into any of the above categories. Further down there's some photos of a flying kite in the various sizes, along with some general information about them. 'Big' was once redefined here at MBK, after the 1.2m (4ft) Dowel Series was complete... So far in this series are the Sled, Diamond, Barn Door, Rokkaku, Delta and Box kites. The Sled and Box are 2.4 meters (nearly 8 feet) long, while the others have a span of that same amount. Except the mighty Delta, where each leading edge spar is 2.4m long! These are a little more challenging to build, in comparison to all the other smaller and simpler designs. And due to the considerable pull they exert on the flying line, even in light winds - not for kids of any age! The designs in this series were made with adults in mind, who want something of a decent size to fly. Older kids would also have the strength to handle these in most wind conditions. 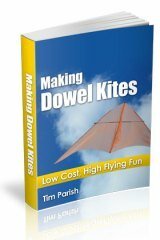 The first thing you might notice about a flying kite of the Dowel variety is that it doesn't have a tail. Of course, there's nothing stopping you from adding a tail just for looks! 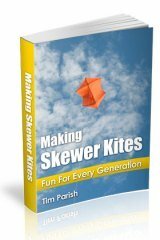 These kites will fly a little higher and steeper without tails though. 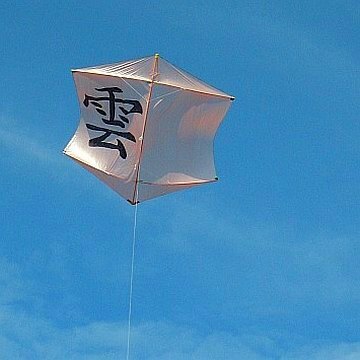 This Parafoil is the third kite in the series. It's flying with a drogue here but doesn't really need it in most winds. The main attraction of these designs is the fact you don't need to hunt around for spar material! 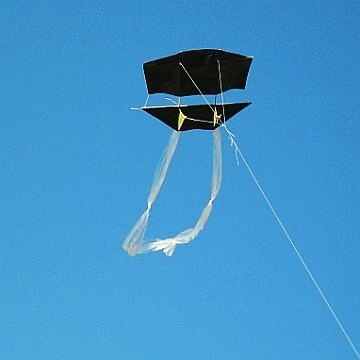 Just drop-sheet plastic and packing tape is enough to get started on a kite that 'looks like a bought one'. 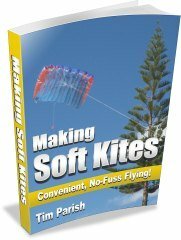 The kites in the Soft Series are all very distinct from one another. Both in looks and the way they fly. The 3-skewer kites have a span or height of ... you guessed it, the length of three 30cm (12") bamboo skewers. A bit less actually, since the points need to be snipped off! There might eventually be a few more 3-Skewer designs to choose from. Two bamboo BBQ skewers end to end turns out to be a very ideal combination of strength, rigidity and light weight. 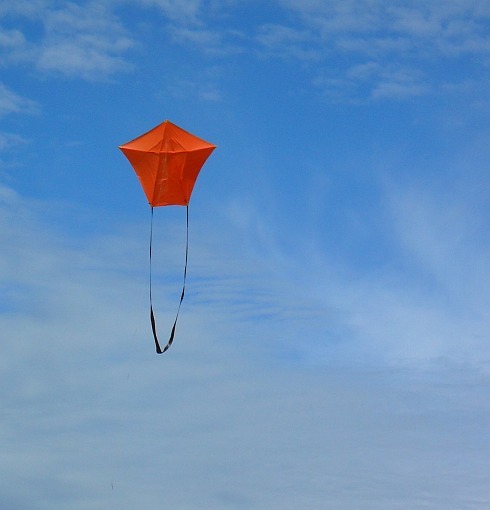 Add extremely light single-ply plastic, and you have one super light-weight flying kite! 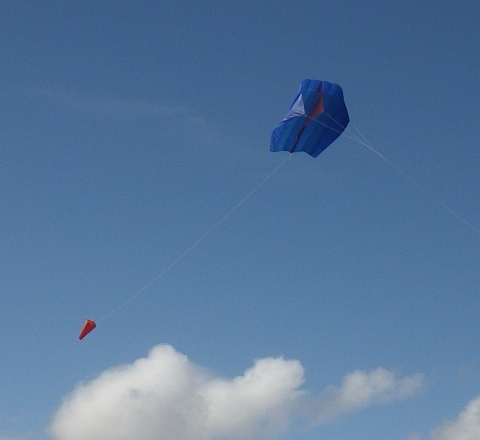 Saving weight is what it's all about, as any kite-maker will tell you. Read the stories to see what some of these kites get up to, on a long 20 pound Dacron line. 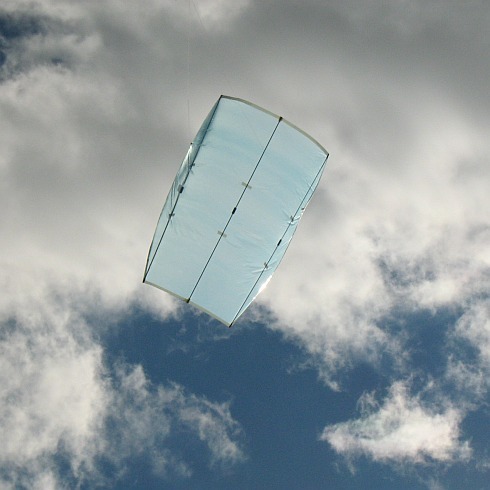 The 1-Skewer kites have wing-spans the length of a single BBQ skewer. The Delta is actually a little wider than that, but both leading edge spars are a single BBQ skewer. Most of the designs in this series are rarely seen in such small sizes. But I thought it would be fun to re-create them anyway! How about a ... 29cm (1 foot) wide Dopero? Just for moderate wind fun. It's simply too tiny to lift a camera of any kind, unlike its much larger cousins. This series makes the task of gathering materials dead-easy. Just copier-paper and sticky-tape! And yet these kites have been designed to behave like 'real kites'. That is, you can expect them to fly very high if desired - and for as long as the wind blows! A little care in handling is required since they are only paper after all. 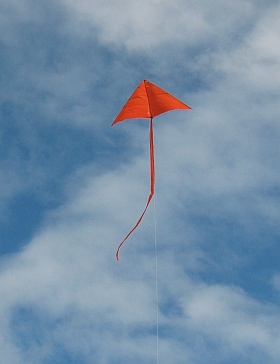 But a well-kept Paper Series kite can easily return many hours of flying pleasure. Over months or even years. 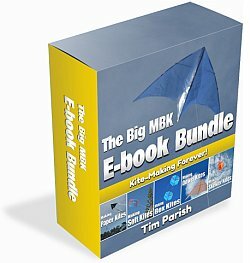 The Big MBK E-book Bundle consists of several e-book downloads. 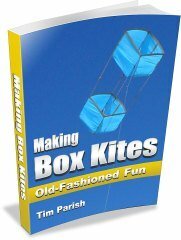 All the kite designs mentioned on this page or pages linked from this one are covered in that Bundle.